LED fixture featuring 3x 10W six in one HEX LEDs. 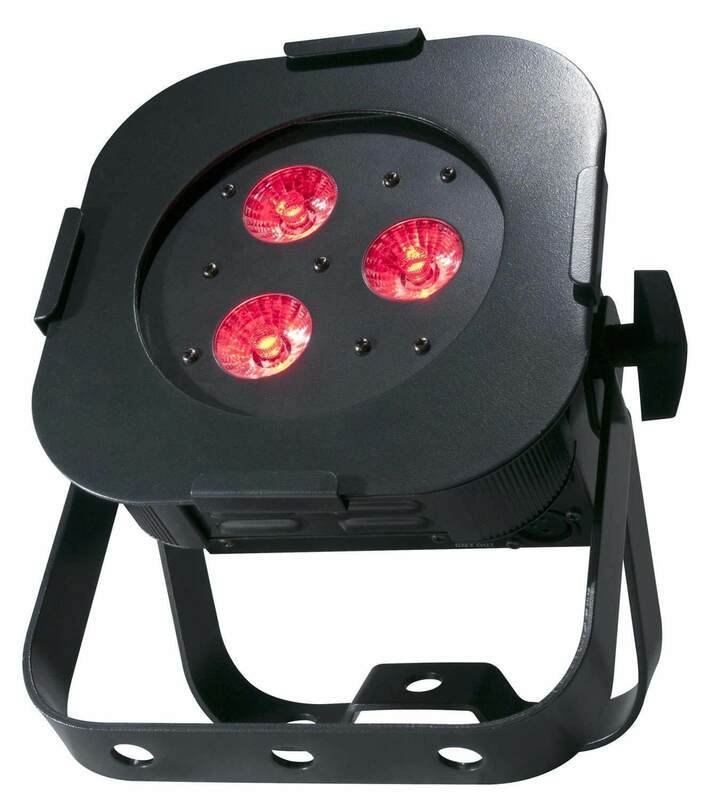 The ADJ Ultra Hex Par 3 LED Fixture features 3x 10Watt six in one HEX LEDs. When you are able to achieve a 40-degree beam angle, you get the chance to produce wide washes with smooth colour mixing from the 63 built-in colour macros. These built-in macros use red, green, blue, amber, white, and UV LEDs. So your party will have the highest quality and range of light. Not only is the ADJ Ultra Hex Par 3 great for lighting stages, but also uplighting a venue. he amount of features offered in this single package is perfect for any starting light show designer or someone looking to add to their arsenal. With a wide range of professional features, including five DMC modes, five operational modes, five dimming curves, flicker-free operations and a 4-button DMX menu with digital display. You can set any kind of light show you desire, be it for a club or a stage where you need the music to be as hot as the band. Daisy-chain up to 20 units together and have the entire venue light up for the entire night with the long life low heat LEDs.